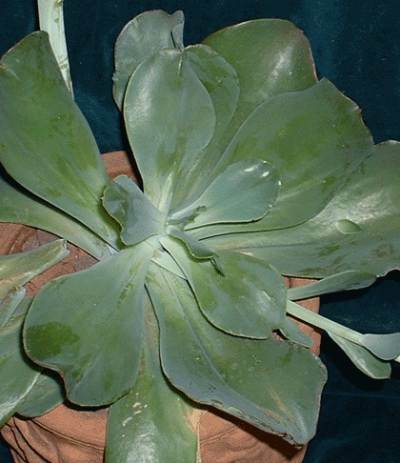 Echeveria 'Captain Nemo' has very glaucous and waxy greeny blue leaves which can be 20cm (8") long. This variety was named by Jocelyn Ainsworth of Australia. 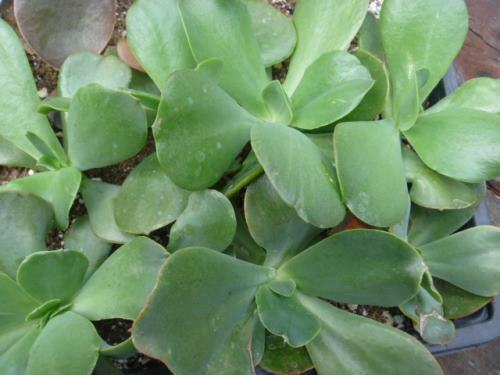 This is a large scale plant, and not for the faint of heart or those gardeners that are fond of miniature plants only. Reaching over 35cm (15") across, and up to 30cm (12") high, this is a plant to be reckoned with. The flower stalk can reach 40cm (18") tall, and be as thick as 3cm (over an inch) across. 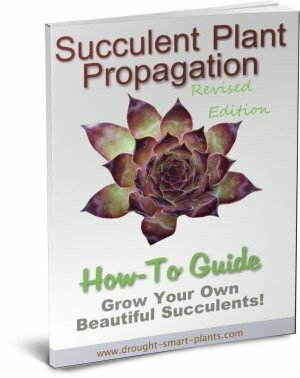 Propagate by leaf cuttings, which are slow to root and huge, so take special techniques for successfully growing them. 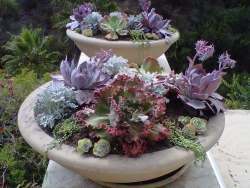 Put the leaves on top of the surface of a flat until rooted, not in individual pots. Grow this variety as a specimen plant in a large pot for best effect. Those that see it will wonder what on earth it is, because it does not resemble most other Echeveria varieties.